Baby Magic has been around for as long as I can remember! In fact, I just checked their website and found out that it has been around for 67 years! They celebrated their 65th birthday in 2016. Yes, that’s older than I am….It’s a brand parents have trusted for generations. I found a timeline on their site, and they’ve got a commercial from 1975 that I just HAVE to share with you! It’s really scratchy, but it IS 43 years old. Baby Magic Original Hair & Body Wash has the original scent that moms have loved for generations. This easy-rinse baby wash is gently formulated to preserve the natural moisture of your baby’s skin, and it is enhanced with vitamins for extra care. Extra sensitive and dry skin needs extra moisturizing. 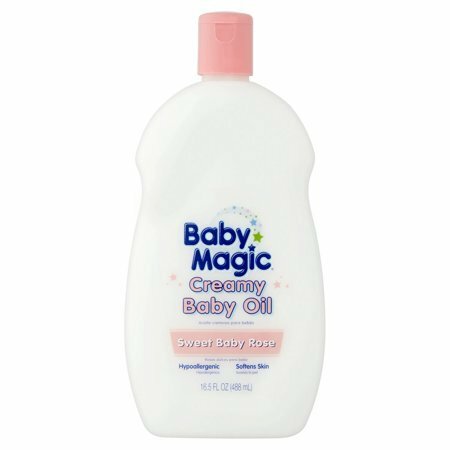 The unique blend of oil and lotion in Baby Magic Creamy Baby Oil helps to soften and seal in the natural moisture of your baby’s skin, and it is gentle enough for even the most delicate skin. Baby Magic Lavender and Chamomile Calming Baby Lotion is a rich and creamy baby lotion that is enhanced with Vitamins and Aloe formulated with real Lavender and Chamomile extracts to calm your baby. When bedtime is near, a tender massage with Calming Baby Lotion will help your baby sleep while keeping their skin moisturized all through the night. I’m sure you know that Baby Magic isn’t just for babies! Moms love it just as much for sensitive skin. Plus, I know I used it way beyond my little ones’ baby years. Did you use Baby Magic? Maybe you still do! Let me know which product is your favorite! One entrant will win the 3 products listed above (valued at around $25). The giveaway is open to the US only and is void where prohibited by law. The sponsor will ship the prizes to the winner. This giveaway ends 12/31 at 11:59pm EST. By entering the giveaway, you are agreeing to the privacy policies of this blog. Winner has 48 hrs. to respond to winning email. I have used the Baby magic original hair & body wash before and it was great and smelled good. 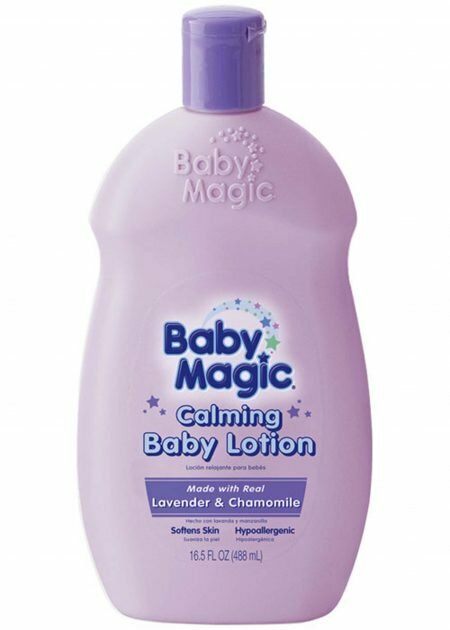 I love Baby Magic, we have used the baby lotion for many years. 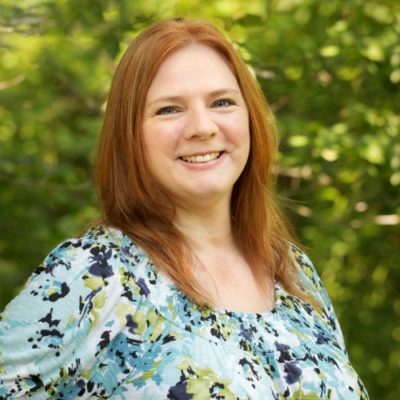 I have used Baby Magic for years and I love all their products! I sure have, I like the nighttime one. YES! I love their lotion! I love Baby Magic products. My favorite is the calming lotion. I like the Lavender Calming Baby Lotion. I have never used Baby Magic before. I love the original Baby Magic lotion the best love the smell. I love Baby Magic products. My favorite is the lotion. The lavender calming one in the purple bottle is really good. I used that for my sons when they were little. I like to use their baby oil for my dry skin. I would love to try their body wash. Yes I use Baby Magic with all of my kids. I have used Baby Magic when my kids were babies. I loved their lotion! I used Baby Magic for my kids and now I use it on my grandkids! I like the way the Baby Magic original lotion smells. I use it on my granddaughter all the time. I like the Baby Magic lotion. It smells so good! 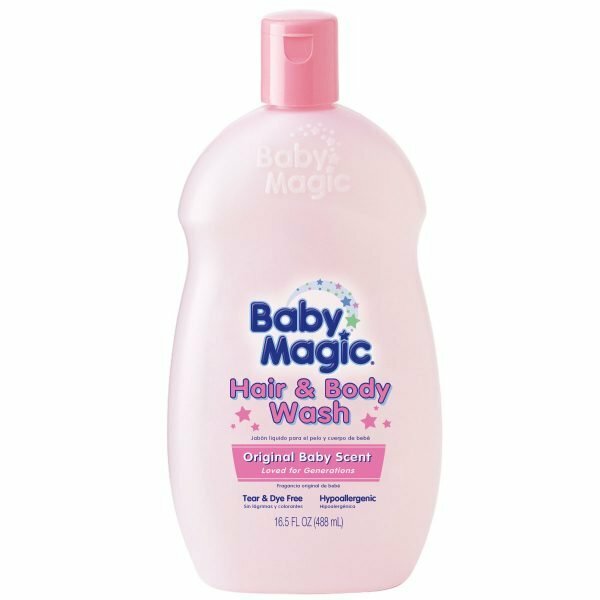 I love baby magic and use it all the time! I like the hair and body wash as it doesn’t hurt the kids eyes. Yes, I have used Baby Magic products before. My favorite is their baby lotion! I have used lotion before on my daughter, I love the smell of it. I use the baby magic original hair and body wash on my 3 year old and 2 month old, it has the best smell! I have used Baby Magic in the past – it smells so wonderful and is very gentle, perfect for babies and kids. Yes I have, I most like their lavender nighttime lotion! I love baby magic products!! My favorite is the lotion!!! I have used Baby Magic. I like the Calming Baby products. Yes I have used their products they are awesome! I have used it before. I love their hair and body wash.